Dechen sometimes performs at very exclusive private occasions. At one of such ceremonies one of the guests was Mr. Claude Dreyer with his wife Susan. They were very touched by her music and contacted her later to tell her that his company would be honored to sponsor some of their high end sewing machines for the DEWA CHE Foundation to go to the Dewache Tailoring School. It was one of Dechen’s happiest moments in life to receive 25 top quality Bernina Sewing machines with a worth more than CHF 60'000. 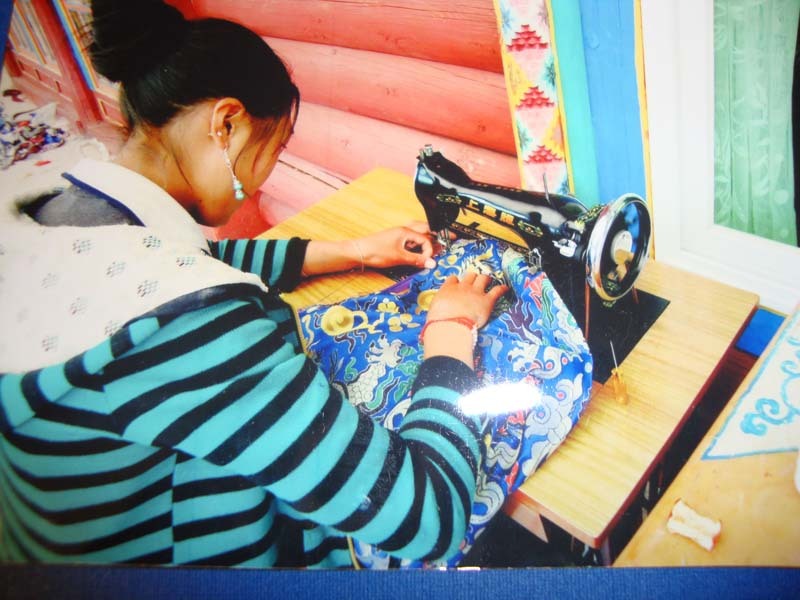 As the actual shipment of 25 sewing machines to Tibet was more complicated than expected, Dechen decided to send 5 to Tibet and 20 to the Tailoring Unit of the Tibetan Children’s Village in Dharamsala in India. 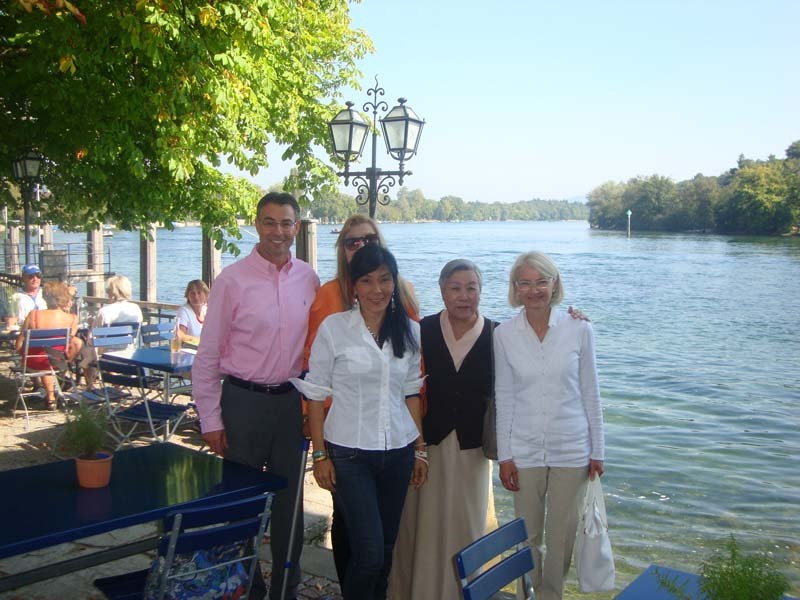 Dechen travelled to India in November 2012 to visit Mrs. Jetsün Pema-la, the sister of His Holiness, The Dalai Lama XV, and also the founder of The Tibetan Children’s Village to present the generous Donation of the Bernina Company from Switzerland. Thanks to the generous donation by Bernina, the students of the tailoring school in Dharamsala and also in Tibet are now working with the world’s top model sewing machines and so improving their skills even more. 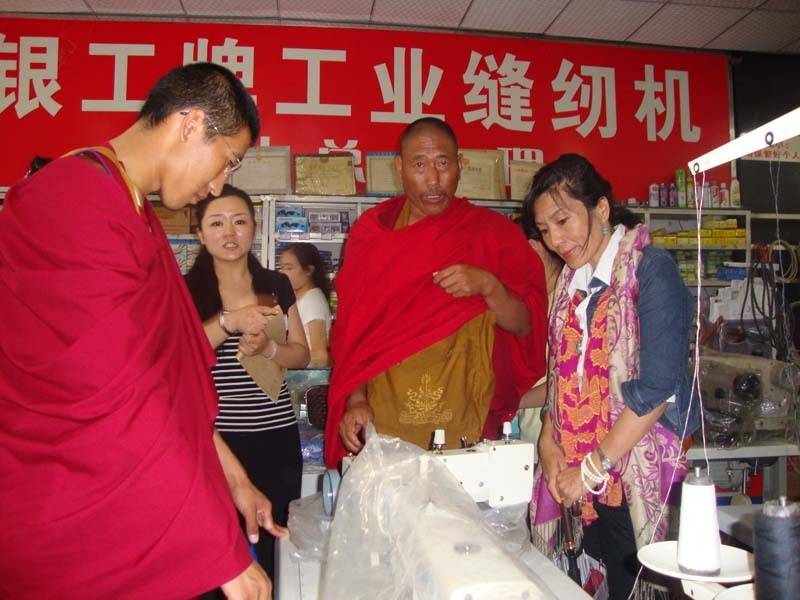 In addition to the sewing machines, Dechen also asked Mrs. Jetsün Pema-la how the DEWA CHE Foundation could be of even further help to the Children. Mrs. Jetsün Pema-la suggested that it would be most helpful to produce pajamas for the children due to the cold climate Dharamsala during cold season. In response, DEWA CHE Foundation donated CHF 5'000 to the tailoring school in order to produce pajamas for the children.